Our school council members were very lucky to visit Barnsley Town Hall today in order to meet the Mayor and Mayoress. While there, the children had a look around and were even invited into the Mayor's parlour. All the children had many questions to ask and we found out lots of information ranging from the age and cost of the town hall to the Mayor's favourite number (which is 9!). At the next class council meetings, the school council members will be sure to share what they have learnt. All those who attended were exceptionally well behaved and were a credit to themselves and the school. Thanks too to Mr Gorner for driving us there and Mrs Larkin for organising the school council. Well done everyone! Our library has moved. Have you been in yet? I found children in there today who were researching our literary heritage. They were investigating the poetry of Edward Lear. They were very knowledgeable about Alfred Noyse and Charles Dickens. Well done Mrs Belfield's class. There's always a wonderful smell circulating the building on a Wednesday after school all thanks to Mrs Walton's cooking club. Pizza, omelettes, beef burgers, fish cakes and pesto pasta are just some of the treats they've enjoyed making. Here they are this week creating another culinary delight! Thank you for your amazing generosity and donations for our Harvest Festival at St. Helen's. We are very grateful and will pass all the goods onto the local church so they can be given to those in need. THANK YOU! 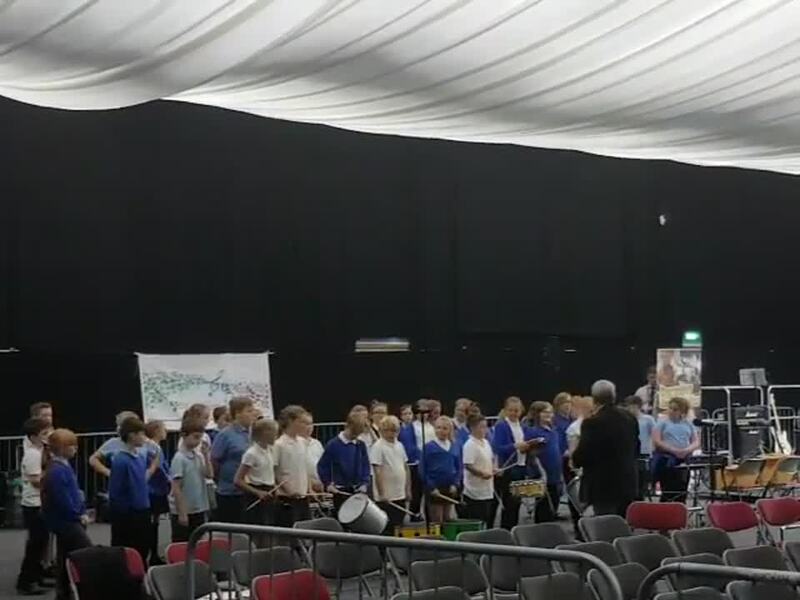 It was an absolute pleasure today to watch our Y5/6 children perform at Barnsley Music Festival. They have worked hard all year developing their skills and today were confident in their performance. 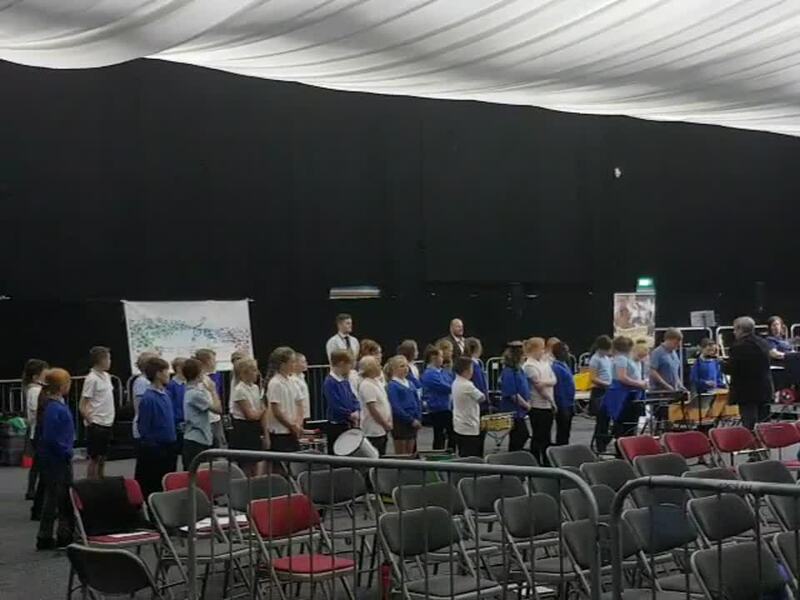 We were also pleased to take along children from the after school percussion group and the afternoon concluded with a joint, unrehearsed performance, alongside the other Barnsley schools who were in attendance. It really was brilliant! Well done everyone! This year our summer show is 'A Knight's Tale'. In preparation for the show, we have had a week of acting, singing, dancing, prop making and knight centred art work. Below are some photographs from arts week and from the showing assembly. They will give you a sneaky peek of what you can expect to see on show night. A couple of our Y6 children took some photographs of our Royal Wedding meal. It was great to see so many children celebrating this special event. While the sun was out, Classes 8, 6 and 3 decided to plant their seeds. Class 6 planted kale, cabbage, turnip and calabrese. Class 8 planted potatoes after digging three very long trenches and Class 3 planted pepper and tomato seeds. Yet again the children of Athersley South have proved just how talented they are. Huge respect to all of the children who took part. We are very proud of all of you. Would you like to see our egg-ceptional model egg designs? They are egg-stra special. Take a look. A huge thank you to these 10 children who have today sung for a community luncheon group at St. Helen's community church centre. 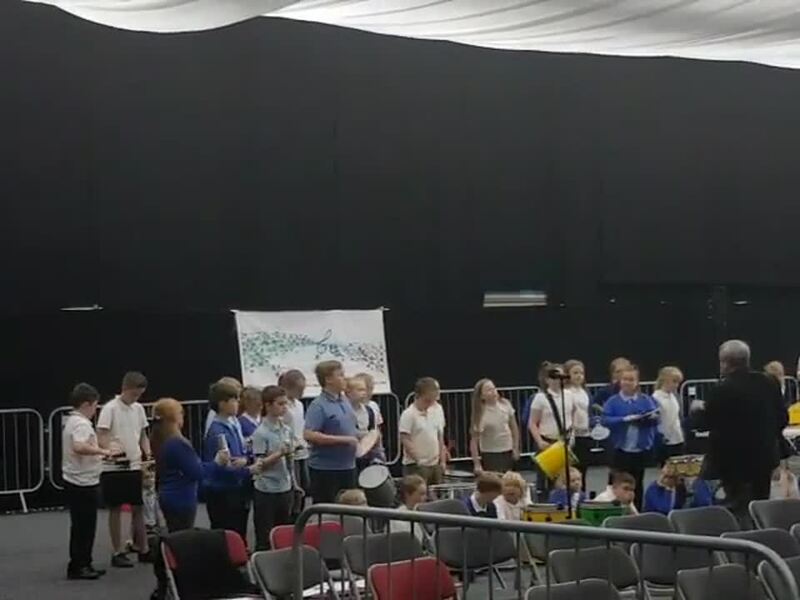 They received a very warm welcome from the elderly and those suffering from dementia who attend the group, and for their singing efforts were rewarded with a buffet lunch. It was absolute pleasure to watch the children sing and to engage in conversations with the group. They really were a credit to the school and Mrs Brayshaw and Mrs Sanderson felt really proud of them. Thanks too to 'Athersley Cares' for the invite. We every much hope to return for another visit. World Book Day has been fab and everyone looked brilliant. Thank you to everyone who helped the children with their costumes. It was tricky picking some winners but after much deliberation, prizes were awarded to Cruella de Vil, Little Red Riding Hood, the Cat in the Hat and Gangsta Granny. Children in Need - The children dressed up in their pyjamas or non-uniform today to raise money for Children in Need. Thank you to you all. Unfortunately, due to the heavy rain we were unable to visit the church today but Father Marshall came down to school to lead our harvest service. A big thank you to all the families who brought in food. This has been given to the New Life Church food bank. Sadly, it was the last time Father Marshall will be at school as he is retiring in November. We would like to thank him for always welcoming us into St. Helen's church and we wish him a happy retirement. The Halloween Disco was a great success once again. There were some VERY scary children. A big thank you to the parents and helpers who organised the activities and decorated school. It's Harvest time! The waiting is over and we have finally been able to harvest our crops. We were pleased that so many fruits and vegetables had grown. If you access the tabs to the left you can see what yummy creations Early Years, KS1 and KS2 made with their ingredients! Eagles have won the team trip for this term with their hard work and excellent behaviour. As their treat they got to see these amazing birds of prey and watch them fly. Today we spent time weeding our beds. We needed to be able to spot which leaves belonged to which vegetables so that we didn't pull up the wrong things. The carrots were hard to spot but we did our best. We are all looking forward to the soup we can make with our produce. Ali Baba and the Bongo Bandits -A VERY big 'well done' to all the children who appeared in this year's summer show (I'm sure that we will be humming the tunes for the rest of the summer). You were BRILLIANT!. Thank you to the families who came to watch as without your support we wouldn't have a show. We would also like to say thank you to Councillor Linda Burgess who came to watch the show on Thursday night. She was very impressed with production. A couple of weeks ago classes voted for their year group's School's Got Talent finalists. Once these talented children had performed in the final, all the children from Y1 - Y6 voted for the winning act. Watch out for the photographs of the winners. Well done to all the contestants and thank you to School Council for organising this very popular event. Class 1 have been picking and eating our strawberries this week. They tasted delicious. Taking care of the vegetables. The carrots and broccoli are starting to grow and the potatoes and onions are getting bigger. Ali Baba and the Bongo Bandits is this year's summer show. During arts week the children in KS2 decided whether they wanted to act, sing, dance, make the set and props or stay in the classroom and take part in a variety of creative activities. FS and KS1 also developed lots of art skills. 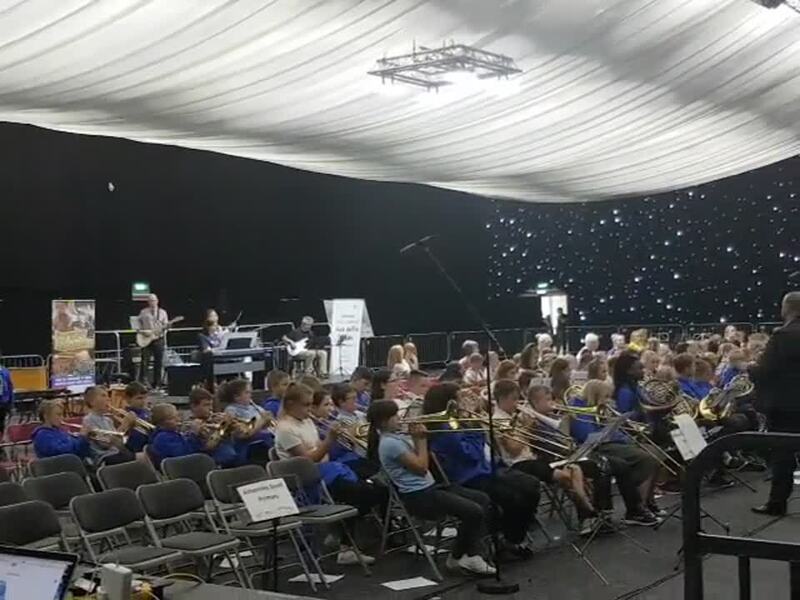 The performers will continue to rehearse over the next few weeks and the show will take place on Thursday 6th and Friday 7th July. We hope that you will come and watch. At the end of our arts week the children came together to share their learning from the week. Planting carrots and broccoli and taking care of the onions and potatoes. Congratulations and a HUGE well done to all the children who participated in our Easter Egg and Bonnet Decorating Competition. Every single one was eggcellent and everyone was so eggcited in assembly to see the range of ideas and creative thinking on show. Thanks to all the grown ups at home that supported and thanks too to Mrs Walch for organising the eggtremely popular event! During this half term, all children in Y5/6 will participate in a two hour long basic First Aid session. The sessions will be led by trained workers from the Athersley Family Centre and the 'Hearstart' programme they lead is endorsed by The British Heart Foundation. The programme covers CPR, choking, serious bleeds and the recovery position. We strongly believe in the programme and feel first aid is an invaluable skill for all children to have. More photographs will appear on the Year 5/6 page as children participate over the coming weeks. Today we are celebrating World Book Day in school and it was lovely to see a number of children on the playground reading their favourite books over lunchtime. January 16th - All the children in school should have received a copy of the 'Hands on History' booklet today which contains lots of interesting information about the history of the area. For the last four years archaeologists have worked with our Y3/4 classes. During one of the digs, one of our children found the Gentleman's Seal. Read the booklet to find out more. Road Safety Week - Y1/2 have been learning how to cross the road safety and Y5/6 have been learning about the importance of wearing a seat belt when travelling in a car. The Halloween Disco was a great spooky success once again. These young ladies have worked tremendously hard all year, sacrificing two of their lunchtimes each week to work with Kim towards an 'I Know I Can' award. They have completed a portfolio of activities and helped in school in a variety of ways at lunchtime, both within the dining room and on the playground. They have developed a range of skills, many of which they can apply as they continue to secondary school. Well done everyone and a huge thanks too to Kim for supporting and guiding the children. The preparation for the show has started and all last week the drama, dance and choir teams came together to start show rehearsals. All the children worked extremely hard and I cannot wait for the show which is on Thursday 30th June and Friday 1st July. All details will be sent out nearer the time including the cost of tickets etc. Well done Show Team! Click on the side tabs to find out what we have been doing across school. There's been some great things happening around school during Arts Week! School Council have been making the handprints that will decorate our KS1 friendship bench. Watch this space to see the finished result. Remember, if you have a worry then put it in one of our Worry Monsters and an adult will help you sort it out.